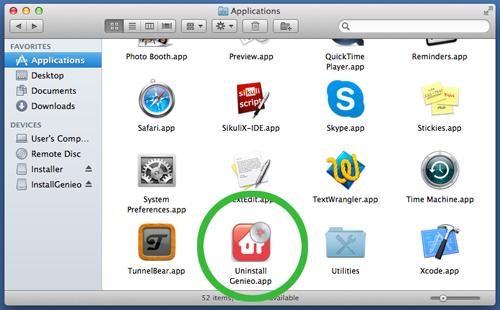 In order to completely uninstall Genieo, open the Application folder on your Mac and double click the Uninstall Genieo file. 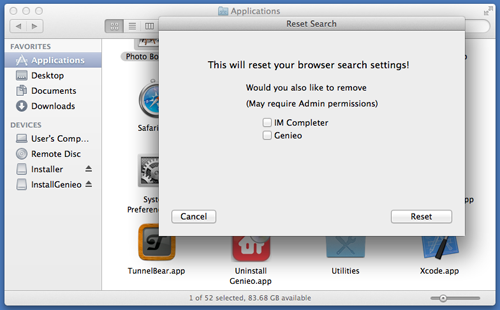 If you can’t find Uninstall Genieo in your Application folder, or for any reason you’re still having a problem with uninstalling Genieo or resetting your browser’s search setting , you can download Genieo’s Reset Search tool here. Once downloaded, double click the file and follow the instructions on the screen.